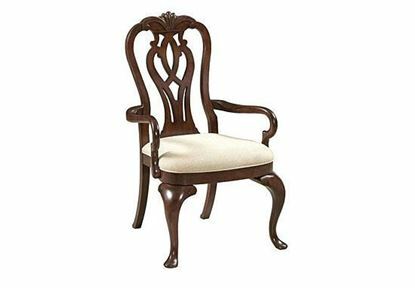 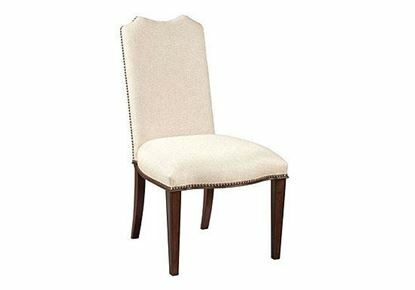 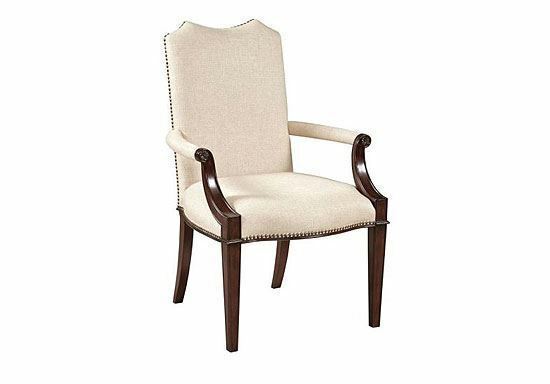 The Hadleigh Upholstered Arm Chair by Kincaid Furniture offers a terrific blend of comfort and elegant styling. 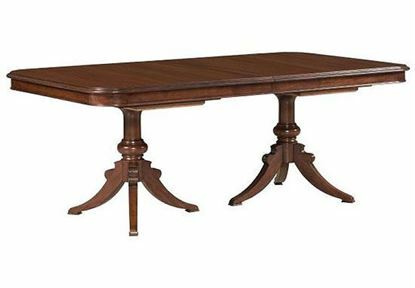 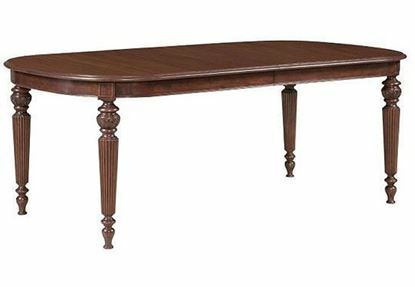 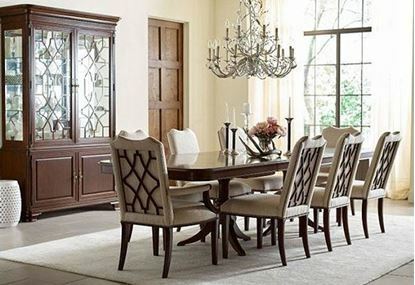 It maintains several details that add personality to the dining room. 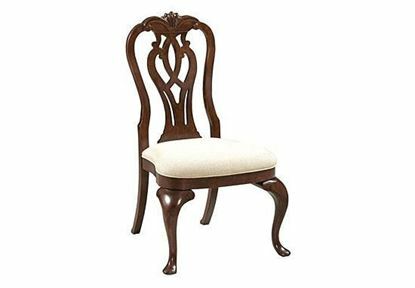 And since the first impression of a dining room is often focused on the back of the chair, this chair is perfect due to its wood fretwork and nail-head trim.